In the past I have frequently criticized the appalling misuse of rabbinic authority in the chareidi world. In fact, this was one of the reasons for my leaving it. Over a decade ago, I joined the dati-leumi (religious Zionist) community, in which I have been very happy. It is therefore with great distress that I am writing about a deeply upsetting misuse of rabbinic authority in the dati-leumi world. There is still an enormous difference between the two worlds - this particular wrongdoing is being loudly and publicly discussed by many people in the dati-leumi world, including in the dati-leumi media, which would never happen in the charedi world. But it is nevertheless a stain. 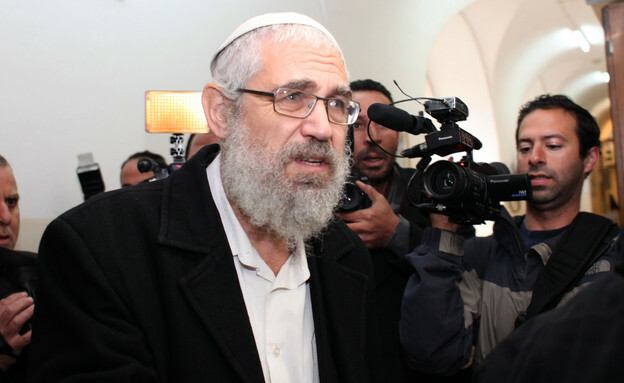 Several years ago, the charismatic and brilliant teacher Rabbi Motti Elon was accused of inappropriate behavior with students. 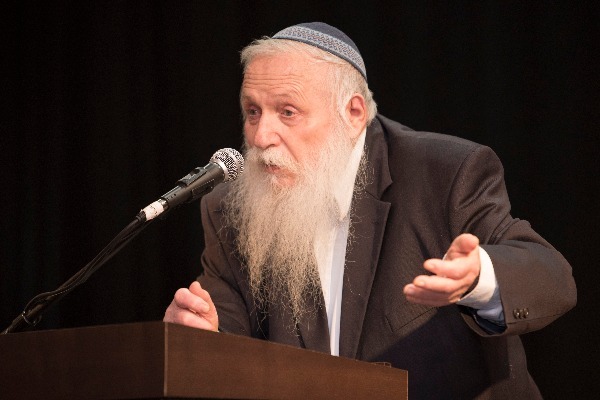 Takana - a religious organization that deals with abuse in the dati-leumi community, under the guidance of Rav Aharon Lichtenstein ztz"l - investigated and decided that he was guilty. The police also launched an investigation and Elon was convicted of two counts of sexual molestation. 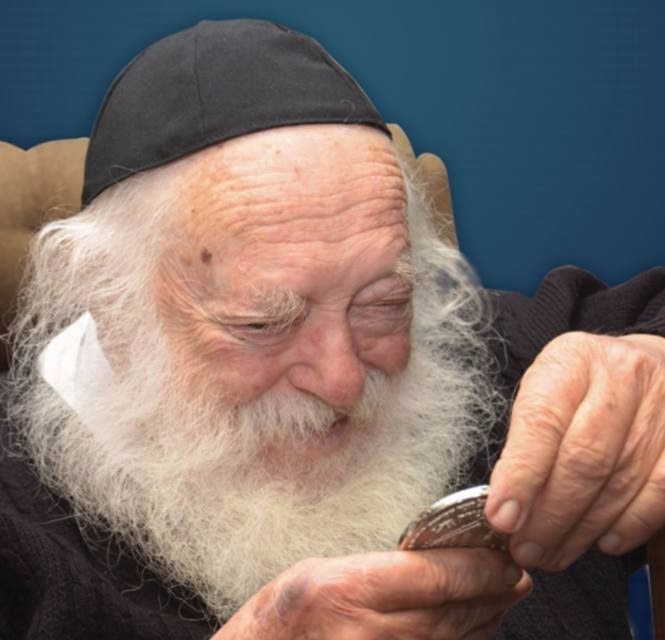 At the time, Rav Chaim Drukman - one of the most prestigious rabbinic figures in the dati-leumi world, and a recipient of the Israel Prize for his contributions to society and education - believed that Alon had been wrongly accused. He stated so publicly and challenged the legitimacy of Takana, which became (along with Rav Lichtenstein) the subject of slurs and threats. 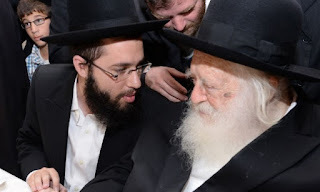 Significantly, Rav Drukman also supported Elon to continue teaching. There was a lot of anger against Rav Drukman, especially in light of the fact that in handling the case of another abuser, many years earlier, he had likewise acted incorrectly. But Rav Drukman clearly sincerely believed that Elon was innocent, and it was hard to absolutely conclusively prove otherwise. A few weeks ago, yet another person came forward with an account about Elon. This time, he had recordings of Elon's behavior. He went to Rav Drukman, Rav Shmuel Eliyahu and Rav Yaakov Ariel, and they summoned Elon. Faced with the recordings, Elon had to confess. Now, at this point, it was obviously clear that all the accusations against Elon had been true all along. Rav Drukman had made a terrible, terrible mistake. And as a result, there had been further victims. And good people had been baselessly slandered. What would be the appropriate course of action for Rav Drukman? At the very least, a public and profound apology for all the harm that had been caused as a result of his mistake. And yet he has made no public statement at all! This has caused immense distress for countless people in the dati-leumi world, aside from being an enormous chillul Hashem. 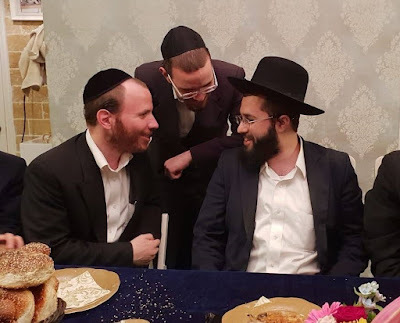 And with Bayit Yehudi shamelessly promoting Rav Drukman as the rabbinic head of the party, it's no wonder that many dati-leumi voters are jumping ship along with Bennet and Shaked. By now, it's already probably too late to apologize. Yes, Rav Drukman is an amazing person, with incredible accomplishments - but that just makes it all the more painful that he caused so much harm and has not reacted appropriately. 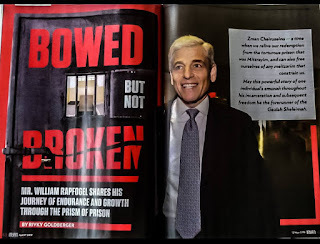 The only way to repair at least some of the harm would be for Rav Drukman to take personal responsibility, and step down from public leadership. As a wise uncle once said, with great power comes great responsibility. And with great responsibility comes great accountability. The Land of Israel is known as the Holy Land, Jerusalem is the Holy City, and the Temple Mount is the holiest place of all. But what does that actually mean? Do these places possess an intrinsic, metaphysical sanctity, embedded in them since Creation? That is the mystical view presented by R. Yehudah HaLevi in the Kuzari (V:23). 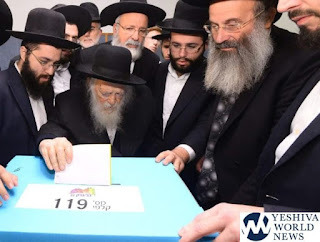 It is the view taken as a given by countless rabbinic authorities over the ages, and popularly assumed today to be the only conceivable approach. Rambam, on the other hand, was of the view that the sanctity of these places is not a metaphysical quality. Rather, it is a status that stems from their historical role. When Rambam stresses that the site of the altar must never be moved, the reason that he gives is not that it possesses inherent metaphysical significance. Rather, it is because of the history of the site, in terms of the events that took place there—the placement of the altar there by David and Solomon, the usage of that site by Avraham, and so on (Mishneh Torah, Hilchot Beit HaBechirah 2:1-2). It is crucial to stress that this does not mean that according to the rationalist approach, the Land of Israel or Jerusalem or the Temple Mount are any less holy than according to the mystical approach. Rather, it is simply a different perspective on what the nature of holiness is all about. First, there was the One Ring of Power. It was the Silver Segular Ring, crafted by the Dark Lord, Sauron God-fearing Yidden in purity, and immersed in the volcanic fires of Mount Doom a mikvah. It was engraved with Sauron's incantations special Sheimos HaKedoshim. It had to be tied to a chain so as not to escape its bearer double-wrapped at all times. It could only be obtained via a treacherous quest in the Misty Mountains by purchasing it from Mr. Avraham Leib Schwartz for several hundred dollars, via an advertisement in Mishpacha magazine. Then, there was the Secret Silver Blade of Fortune. "Immersed in purity with the seal of Kabbalah," this wondrous blade, when used at the proper time with the correct incantations, had the ability to "open one's mazal." It had allegedly been proven to bring "success and prosperity" to "thousands of people." While historically the silver blade was been "secretly passed among mekubalim," it was now available to the general public, in exchange for a generous donation to a certain charity. Now, there is the Coin of Protection! 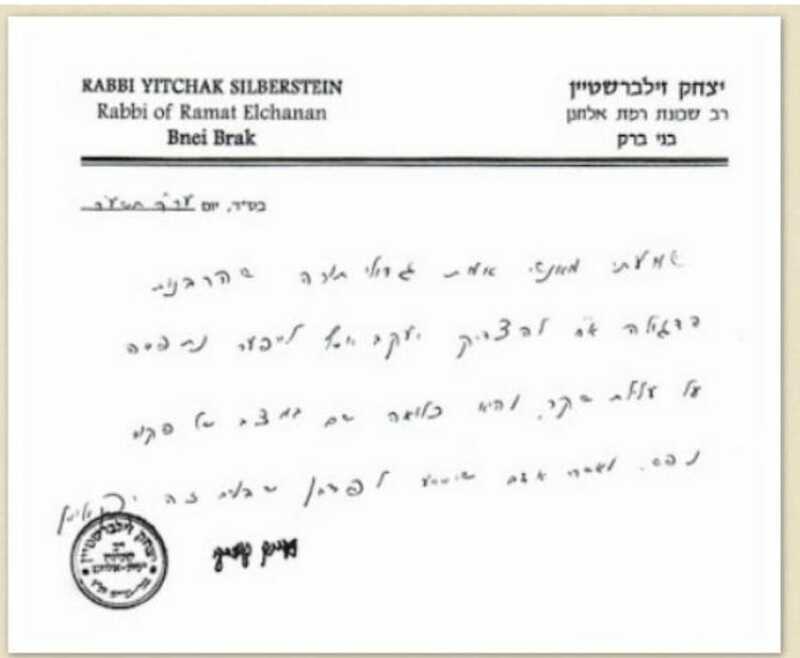 The Coin of Protection was "personally imbued" by Rav Chaim Kanievsky, "a living Urim VeTumim," "with his special blessings of good health, good tidings, and success in all endeavors." Such an amulet coin "is considered to be a protection." It can be "placed under the pillow of someone undergoing surgery," and "worn around the neck in challenging times." 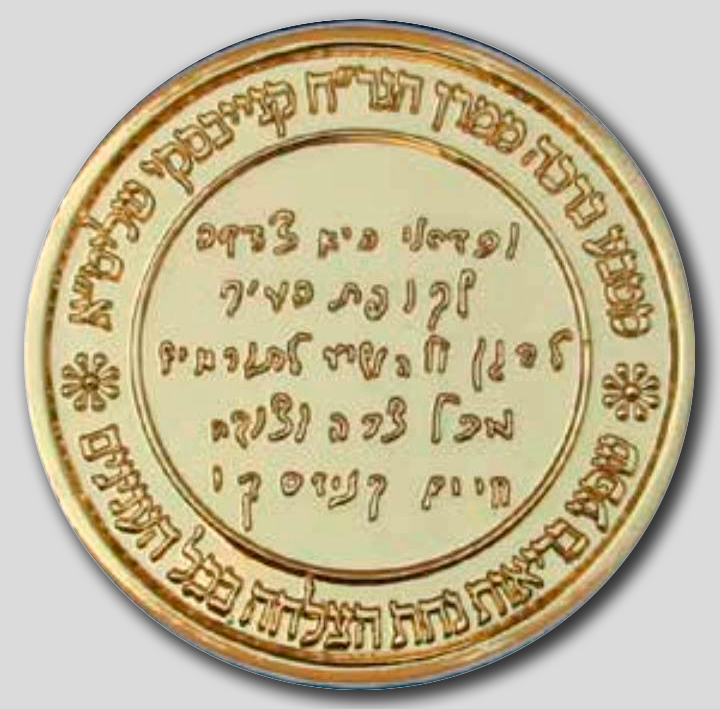 According to the advertisement, there is only one Coin of Protection, specially minted, that will be raffled off to donors to Ner Echad. But, fear not! 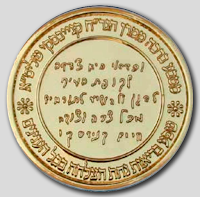 Kupat Ha-Ir also has a special Coin of Protection, blessed by Rav Chaim Kanievsky. This one has been mass-produced (and mass-blessed? ), and it can be yours for a donation of just $648. "Whether you keep it in your home, carry it with you for protection while traveling, or give it as a gift to a loved one, this shmira coin is a worth far more than its weight in gold!" While the Gemara has several references to amulets, the usage of amulets has been on the decline for centuries, especially in Litvishe circles, along with the actual belief in demons (as opposed to the professed belief in demons). It's sad to see it making a comeback. 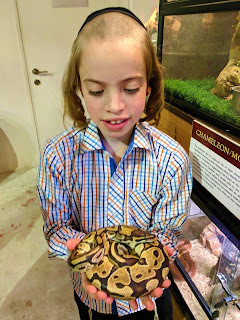 Wouldn't it be great if chassidishe kids, totally isolated from society, would learn about the wider world? Wouldn't it be great if they would learn to be able to learn from people outside of their community? Wouldn't it be great if secular Jews could appreciate that Judaism is about much more than just synagogue and holidays? Wouldn't it be great to have a way to bring the most arcane parts of Torah to life? There's a place that does all of this, and more. It's the Biblical Museum of Natural History. We've hosted nearly 50,000 visitors from across the spectrum of society, and we are poised to move into a much larger facility and scale up our operations dramatically! As 2018 draws to a close, if you still have some charity donations to disperse, please consider the Torah and Nature Foundation! That's our 501(c)(3) which operates the Biblical Museum of Natural History. Details of how to donate via credit card, check or Paypal can be found at this link. For larger gifts, exhibit dedications in our new building are available. Thank you, and well done, for participating in our mission! One of the differences between rationalists and mystics is their different views regarding metaphysical entities. Rationalists minimize the number of supernatural entities and forces; mystics, on the other hand, tend to maximize the number of supernatural entities and forces. In the mystical worldview, metaphysical entities are not restricted to the world of angels and demons. 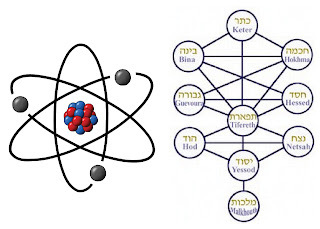 Rather, there are metaphysical forces which lie at the core of basic principles of Judaism. Rationalists, on the other hand, understand these principles to be independent of a metaphysical framework, the existence of which they do not accept. The concept of tumah, usually translated as "impurity," lies at the heart of many commandments. Corpses and dead vermin transmit impurity. The emission of certain bodily fluids renders one in a state of impurity, as does childbirth. Animals that are forbidden from consumption are also described as "impure" (the colloquial term "treife" is inaccurate). But what is this "impurity"? According the mystical approach, this impurity is a metaphysical state—a sort of invisible, spiritual "dirt." It has objective existence, regardless of how people relate to it. According to the rationalist approach, on the other hand, impurity is not a metaphysical state. Rather, it is a designation, a state which we (following God's instructions) ascribe to certain people, creatures and objects. And we are forbidden to eat certain foods, in order to accomplish various functions relating to perfecting our characters and our society; there is nothing inherently metaphysically impure about these foods. The differing views on the nature of impurity are also seen in the laws of accidental and forced transgression. The Torah is explicit that if someone sins by accident, they must nevertheless bring an offering. But why? Ramban, following the mystical approach, explains that even though it was an accident, the impurity has nevertheless tainted one's soul. Rambam, on the other hand, explains that he has to atone for being somewhat negligent, as had he been more careful, the accident would not have happened. 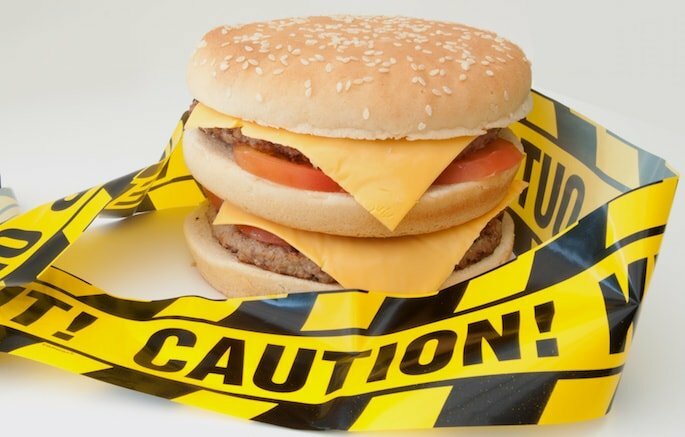 What if someone ate impure food through absolutely no negligence on their behalf, or in a case where it was halachically required (such as for survival)? According to Rambam, there are no negative consequences whatsoever. Indeed, in a situation where kosher food items are mixed up with a non-kosher food item, according to many views one is entitled to rely on the majority of items and eat all the food, because with any given item, the odds are that it is kosher. This is despite the fact that if one eats all the items, one has certainly consumed the non-kosher item! Evidently, there is no concern for metaphysical harm; the only problem of eating non-kosher food is transgressing institutional prohibition. The differing views of the nature of non-kosher food may also explain the differing approaches with regard to checking vegetables for insects. Those who advocate for a far more intensive search than was traditionally done are usually of the mystical mindset, and are concerned for actual metaphysical harm that will be sustained by eating insects. Those following a rationalist approach, on the other hand, are of the view that following the classical halachic requirements is all that is required, and there is no metaphysical harm about which to be concerned. See Mishneh Torah, Hilchos Mikvaos 11:12. For extensive discussion, see Menachem Kellner, Maimonides' Confrontation with Mysticism, chapter 4. See Kellner, Maimonides' Confrontation with Mysticism, chapter 2. Ramban, Commentary to Leviticus 4:2. Rambam, Guide for the Perplexed 3:41. Guide 3:41; Mishneh Torah, Hilchos Maachalos Issuros 14:10-13. In fact it would seem that Rambam would define the category of onnes as a case where there was no negligence, whereas others would have a more limited definition. See Rabbi Gedaliah Oberlander, "Timtum Halev MeiAchilas Ma'achalos Issuros B'Onnes," Ohr Yisrael 45 pp. 103-109, and the rejoinder by Rabbi Yaakov Dovid Luban, Ohr Yisrael 46, pp. 49-52, available online here. Rationalists believe that knowledge is legitimately obtained by man via his reasoning and senses, and should preferably be based upon evidence/reason rather than faith, especially for far-fetched claims. 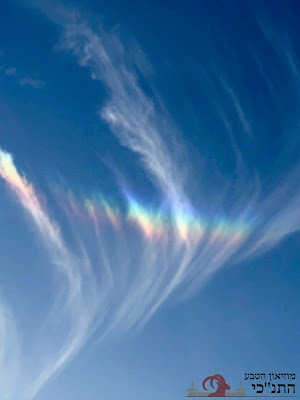 Mystics are skeptical of the ability of the human mind to arrive at truths, and prefer to base knowledge on revelation, or – for those who are not worthy of revelation – on faith in those who do experience revelation. Rationalists value a naturalistic rather than supernatural interpretation of events, and perceive a consistent natural order over history, past present and future. Mystics prefer miracles, and believe them to be especially dominant in ancient history and the future messianic era. They tend to maximize the number of supernatural entities and forces. Rationalists minimize the number of supernatural entities and forces, seeing them as threatening monotheism. They believe in God, and depending on where on the rationalist spectrum they fall, they may believe in a small number of other supernatural entities or none at all. Discussions of apparent supernatural entities in classical literature are reinterpreted or rejected. Mystics tend to maximize the number of supernatural entities and forces. They can be either forces of holiness, or forces of evil. These include all kinds of angels and demons, astrological forces, sefirot (emanations), olamot (spiritual worlds), and an infinite number of other metaphysical entities. Rationalists understand the purpose of mitzvos and one’s religious life in general as furthering intellectual and/or moral goals for the individual and society. Even chukkim serve to accomplish these functions, albeit in a way that is not immediately obvious. 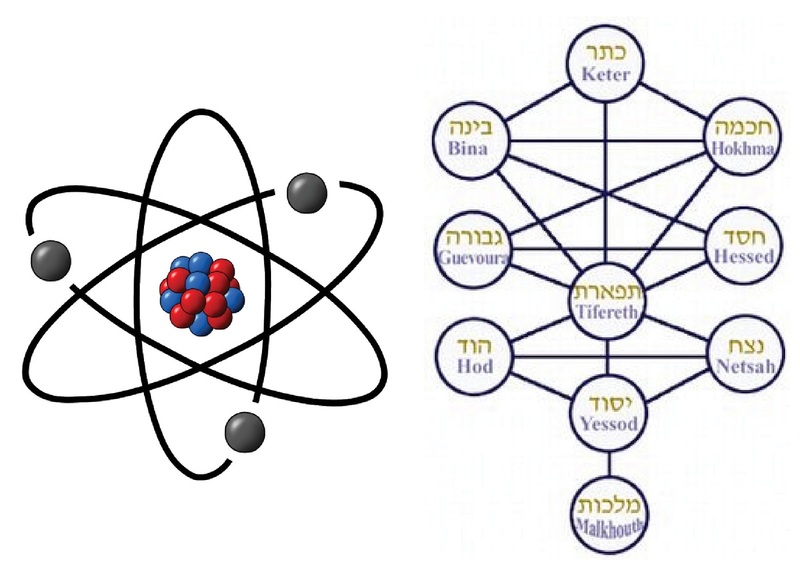 Mystics accept that mitzvos serve intellectual and moral goals, but see the primary function of mitzvos as performing mechanistic manipulations of spiritual metaphysical forces. The reasons for mitzvos are either to accomplish these manipulations, or are ultimately incomprehensible. 3) things that are not actually true. Is his claim true? Of course not. Let's leave aside the minor inaccuracy regarding when medical science discovered how identical twins are formed (it was not twenty years ago - it was already known in the nineteenth century). And let's leave aside the inaccurate claim that a human egg is too small to be seen without a microscope - it isn't. Let's just address his claim that the Gemara said that "one seed went into one egg and split into two." There ain't no such Gemara. 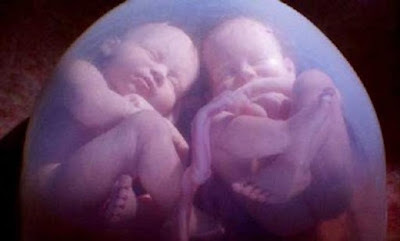 Ramban elaborates that the fetus is not formed from any female "seed," as there is no such thing; rather, the "red substance" to which the Sages are referring is uterine blood. Tashbetz writes similarly. So, rather than Chazal knowing how twins are formed long before modern science discovered it, Chazal actually had a mistaken view of fetal development (as did everyone in antiquity). It is, of course, very psychologically reassuring to believe that Chazal knew modern science through supernatural means. Alas, there is no evidence for it, and overwhelming evidence against it. 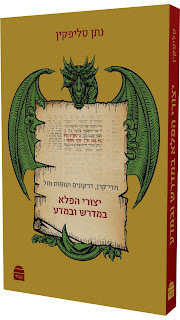 Is my new Hebrew book, Yitzurei HaPele B'Midrash UveMada, in cherem? It might seem clear that it is. After all, it's a direct Hebrew translation of Sacred Monsters. And that book was an expanded edition of Mysterious Creatures. And Mysterious Creatures was most definitely put in cherem, declared to be utter heresy by around three dozen leading charedi Gedolim. But in fact, matters are not so straightforward. The original "problem" with Mysterious Creatures was that it took a rationalist approach, which allowed for science proving certain things, and for the Sages having held beliefs about the natural world that were based upon the standard and sometimes errant beliefs of their era, rather than divine sources of knowledge. This was, of course, also the approach of Rambam, Rav Hirsch, and many dozens of other prominent Geonim, Rishonim and Acharonim, right up to our generation. Of the charedi rabbinic authorities who declared the book to be heretical, some of them (such as the late Rav Moshe Shapiro and Rav Elya Ber Wachtfogel) genuinely believe this approach to be absolutely heretical. 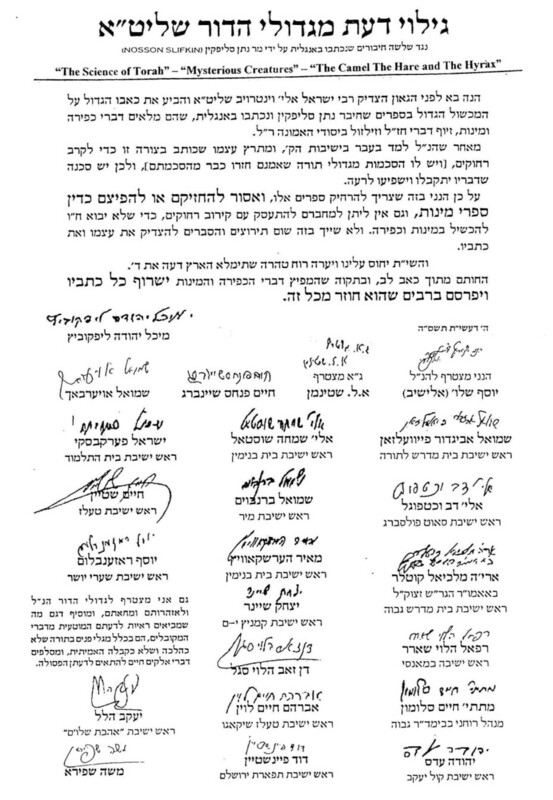 As for the dozens of great rabbinic authorities who held this view - they are unaware of many of these sources and in denial of the others, claiming them to be forgeries and so on. According to these rabbis, my new Hebrew book is likewise absolutely heretical and must be burned. 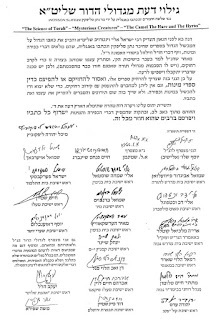 On the other hand, some of the others who signed on the ban against my book, such as Rav Elyashiv, were aware that there were great Torah authorities of the past who took this approach. And when they signed that my book was heretical, they didn't actually mean that it was heretical. 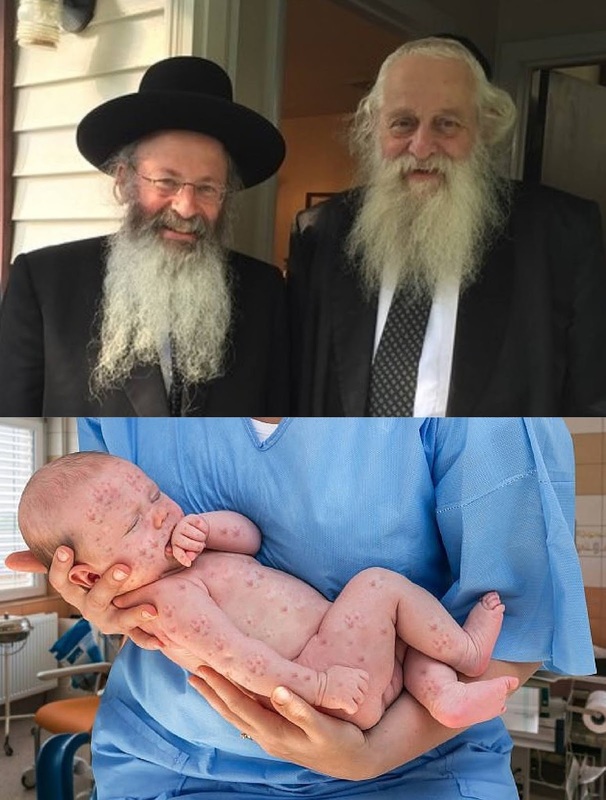 As Rav Elyashiv stated, "כוונתי כשהצטרפתי לקול קורא היתה רק בנוגע שהספרים אסורים לבא בקהל"" ("My intention when I added my name to the public announcement [regarding the issur] was only regarding that the books should not enter the community.") He was against this approach being taught in the charedi community, partly because charedim innately do not agree with that approach (which they are entitled to do, notwithstanding its illustrious heritage), and partly because they believe it to be educationally dangerous (which may well be true for many people in that community). Indeed, that book was written by a charedi author and published by a charedi publisher with charedi haskamos in a way that would target it to a charedi audience. Yitzurei HaPele, on the other hand, is packaged very differently. It's softcover (which is almost never the case with "real" sifrei kodesh). It has no rabbinic endorsements printed in it. It's published by Maggid/Koren. It's written by someone with a doctorate from Bar-Ilan. It's clearly not a charedi book, and no threat to the charedi community. So is it a heretical book in cherem? I think it's a machlokes charedi Gedolim. 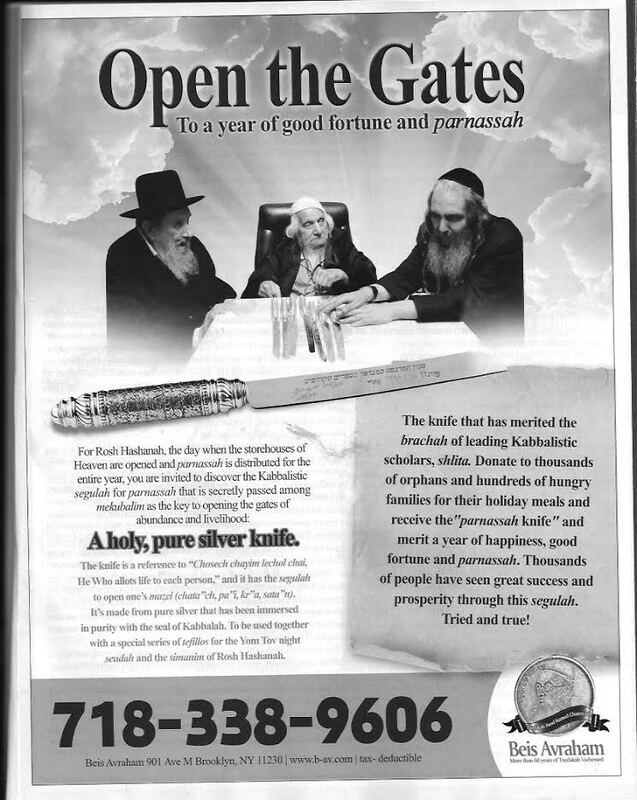 One year ago, Sholom Rubashkin was released from prison. (For an excellent discussion of the entire tragic story, along with many other fascinating topics in kashrut, I recommend the book Kosher USA.) Rubashkin's sentence was absurdly excessive and it was wonderful that it was commuted. Yet I bemoaned how the yeshivishe press was portraying him. Although Rubashkin didn't deserve the punishment that he received, he had nevertheless committed serious crimes that caused great harm. Yet the press were portraying him as a hero, the Sharansky of our era. Several people (including a close friend) criticized me sharply. But their criticism was not all the same. 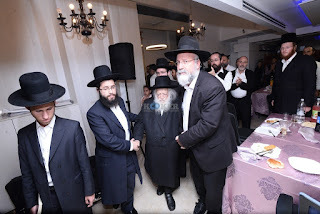 Some of them criticized me for attributing any wrongdoing to Rubashkin. They insisted that he was entirely innocent of any wrongdoing. Others agreed that he had committed some wrongdoings, but insisted that he wasn't being celebrated as any kind of hero; people were just rejoicing that his unjust sentence was being commuted. 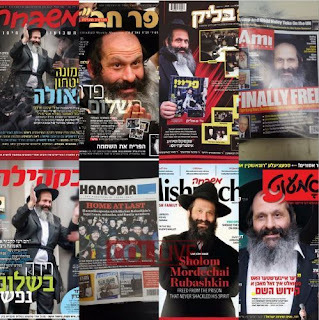 It is now one year since Rubashkin's release from prison. 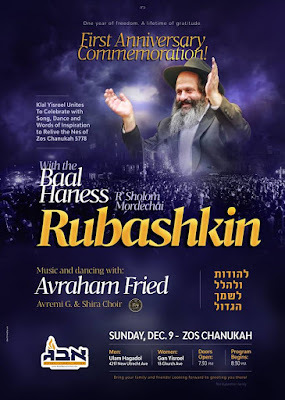 Tonight, there is an enormous party and concert, celebrating the "Baal Haness," pictured triumphantly clapping over the cheering crowds. 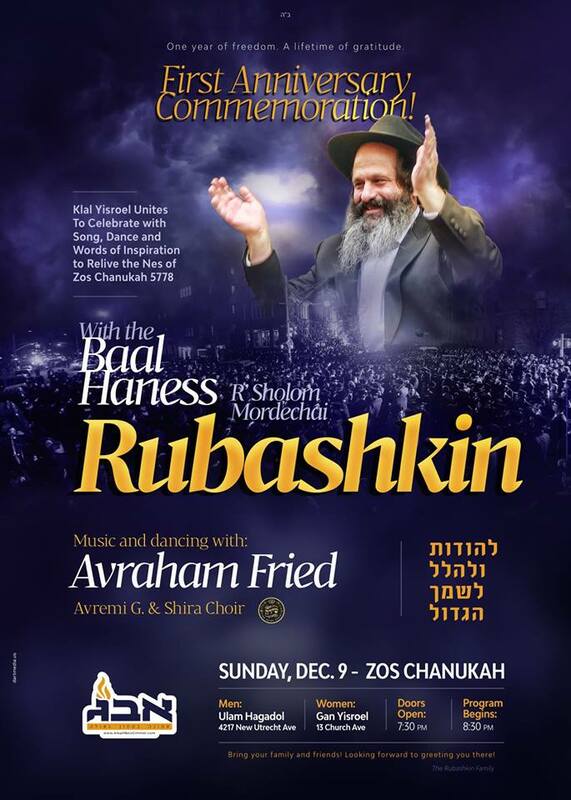 During the last year, Rubashkin has been paraded as a celebrity, invited to speak at numerous venues. He also published a book of "inspirational messages and divrei Torah." As far as I am aware (and I would welcome being proved wrong), in his speeches and writings he does not bemoan making terrible mistakes that harmed many people. Nor does he use this opportunity to beg people not to break the law. Instead, he speaks about his great emunah and bitachon. On the other hand, if you read the account of his sentencing, a very different picture emerges. Rubashkin was described as giving a "tearful apology." He told the court "I guess this is the time to apologize to my community, and especially to my dear wife and children, for the harm I have caused them. There are no words to express the grief that I feel and have caused them.” A psychiatrist spoke on his behalf, and attested that "Rubashkin expressed regret for the harm he had caused himself and others." 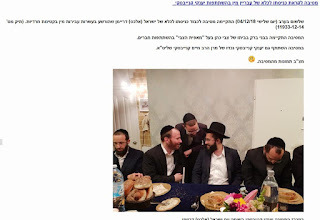 So was Rubashkin lying? Was all that merely in order to fool the judge? Or was he sincere - in which case, why does that sentiment appear to have gone out of the window? 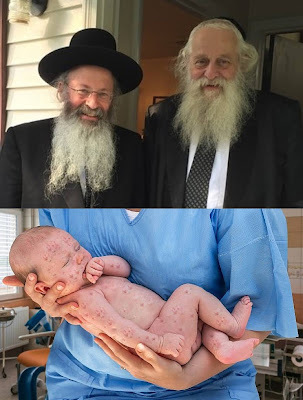 Which is the real Sholom Rubashkin? On the eve of Chanukah, Mr. Lee Samson, chairman of the museum foundation (and also my father-in-law), took this extraordinary photograph of a natural menorah formed in the Jerusalem sky by the clouds refracting the sunlight. If I didn't personally know the person who took the photo, I would be certain that it was photoshopped! And the timing makes it doubly amazing!